As a washed-out dam in Hantsport, N.S., slowly changes the face of the land in the area, hundreds of residents turned out to a public meeting Wednesday evening to tell the province they are not satisfied with its handling of the matter. 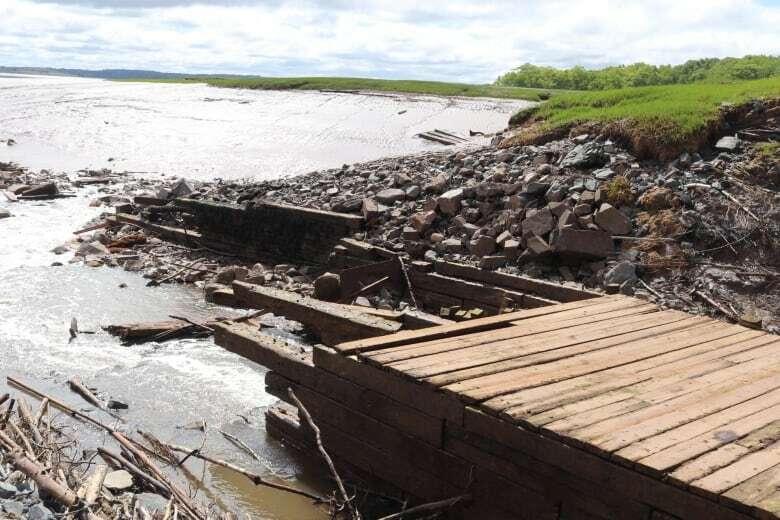 An old aboiteau or dam across the mouth of the Halfway River washed out late last year, and now water from the Bay of Fundy is able to travel upriver during each high tide. The tidal flow is bringing silt and saltwater to an area that has been farmland for decades. Jane Davis, a resident of the area, said hundreds of people turned out for the standing-room-only meeting because they are concerned about the rapid change in the environment along the river. "Quite devastating when you come off the highway and you're surrounded by green, and all of a sudden you're straight onto dead trees," she said. 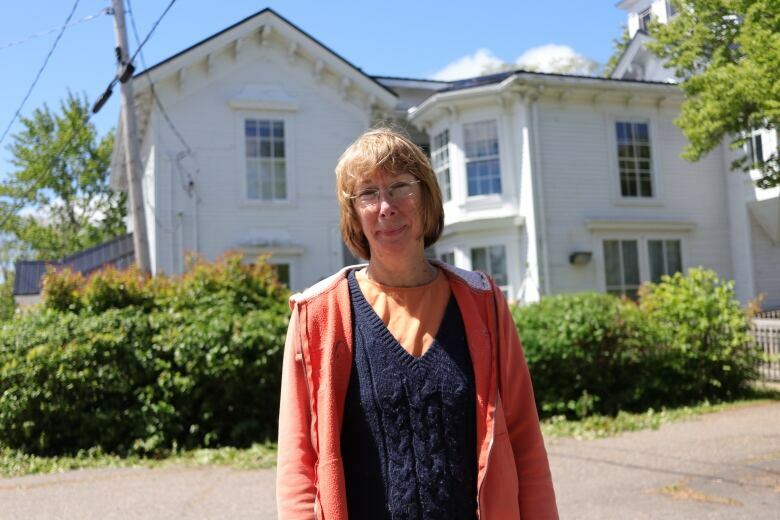 "As one property owner said, when people are coming into town and looking at properties in Hantsport this is the first thing they see. They're wondering what is happening here, and why would I want to live here?" The province is locked in a legal dispute with the Windsor and Hantsport Railway, an American-owned company that once ran a railway over the top of the aboiteau. The railway has been defunct for roughly 10 years and the section of track that ran across the aboiteau has been removed. 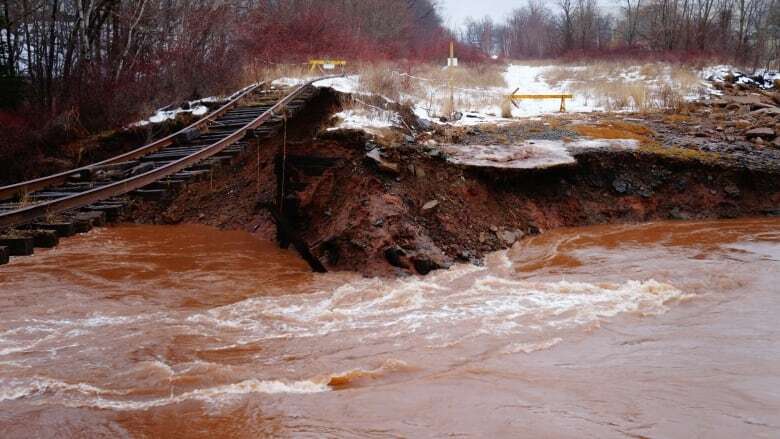 The province says it is the railway company's responsibility to repair the aboiteau. The owner of the railway has disputed this in court, and the matter is ongoing. In addition to the changes to the land, residents say they are worried about the safety of the Highway 1 bridge, which crosses the Halfway River near its mouth. Highway 101 also crosses the river about two kilometres further upstream. At the public meeting, the deputy minister of transportation and infrastructure, Paul LaFleche, spoke with residents about possible solutions, including raising the Highway 1 roadbed. "One of the things he said was, 'OK, who wants to raise the road?'" Davis said. "And the whole room just shouted at him, 'No. No, no, no. We don't want you to raise the road. That won't fix the issue.'" The minister of transportation and infrastructure, Lloyd Hines, said Thursday the province is monitoring the situation but so far engineers have not found any change around the bridges. "We're monitoring it constantly to make sure there's integrity in the infrastructure, to make sure that it's functional in the area. We will take whatever measures are required to ensure that there's safety for the community," he said. "If there was erosion of the highway, obviously that would be a concern for us." Hines said his department is not sure of the extent of the environmental change, but intends to "protect those values first, and to sort the other things out later." However, Hines said he is not sure at this point how the province will mitigate the environmental changes to the land. Graham Day, who formerly was legal counsel for Canadian Pacific Ltd. and has had a home in Hantsport for more than 40 years, said he has never seen so many citizens turn out for a public meeting. "The bottom line is the government has not done much — if anything," he said. "The railway itself will never operate again, short of spending many millions and millions of dollars. The line is deteriorated. There's other areas of damage. But they have not impacted the environment the way the aboiteau has." The transportation minister said repairing or replacing the aboiteau is an option, but that will depend on the outcome of the court case.